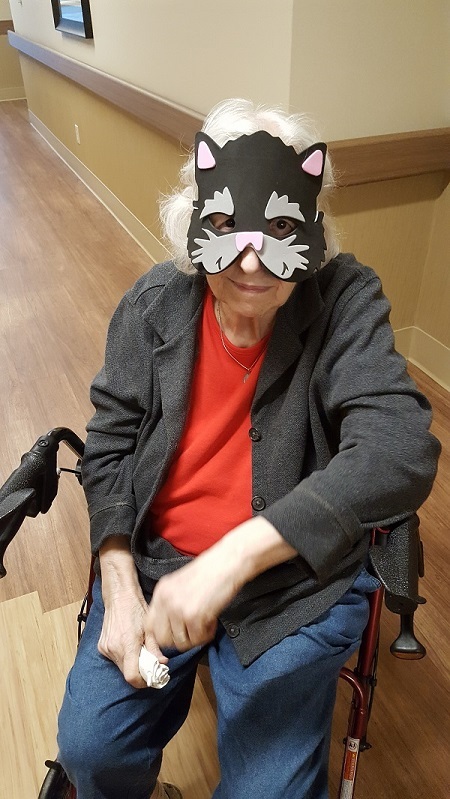 Siena Gardens, Cincinatti's newest skilled nursing facility, has started the first of many traditions for the surrounding community with the first annual community trick-or-treat night. During this free event, families from the community could come trick-or-treat at a safe environment inside Siena Gardens, going room-to-room (house to house) and trick-or-treat with participating residents. "The joy on the faces of the residents made the night for me," said facility administrator Trey Iverson, "... seeing smiles from ear to ear on each resident as the kids went by in costumes made it all worth it." Siena Gardens is a beautiful new facility from nursing home developer and Foundations Health CEO Brian Colleran. Brian is developing new state-of-the-art nursing homes throughout Ohio, featuring beautiful private rooms to each resident, and the best and brightest clinical teams focused on quality outcomes, and resident and family satisfaction. Siena Gardens is a proud member of the Foundations Health family, and is the newest of 55 facilities in the Brian Colleran and Foundations Health portfolio. Founded by Brian Colleran, Foundations Health Solutions is Ohio’s premier long-term care company. With strong Christian values and heritage, Foundations Health Solutions is committed to serving our communities with the highest level of clinical excellence and resident satisfaction, along with a strong employee culture which places priority and resources on the direct caregiving team.